Founder Lee Pennington (retired) began his career in the financial services industry in 1953 in the specialty of life insurance. Mr. Pennington’s vision led him to the larger field of “financial planning” in 1967 and many consider him a pioneer in the industry. He was the second CFP® practitioner in Texas and retired in 2010. Mark Bass, CFP®, CPA, AIF® began his career with Mr. Pennington part-time while in college in 1971 and then full-time after graduating in 1973. They are thought to have the longest running financial planning partnership in the country. Mr. Bass, a Lubbock native, is a graduate of Baylor University (BS in Economics) and Texas Tech University (BS in Accounting). Jennifer Coe Dever, CFP®, CRC®, AIF® began her career with the firm in 1995. Ms. Dever, a native of eastern New Mexico, is a graduate of Texas Tech University (BS in Personal Financial Planning). 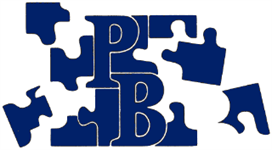 PBA is a comprehensive financial planning firm and manages in excess of $350 million. PBA provides advice and services in the areas of investment planning, retirement planning, tax planning, insurance planning (life, health, long term care, disability), education planning, and estate planning. Clientele include primarily individuals and families not only in Lubbock and Texas, but across the US. PBA is also honored to work with several non-profit organizations and churches. The clientele of PBA looks very similar to the upper-middle class demographics of Lubbock, Texas, and the US today—many retired or about-to-be retired self-starters, small business owners, farmers, ranchers, teachers, professors, and physicians. The firm has long-tenured relationships with many of its clientele which has led to their children and grandchildren becoming clients. In our opinion, multi-year relationships are indicative of our honesty, integrity, confidentiality, and compassion, as well as meeting and/or exceeding client expectations—whether that be in the form of portfolio performance, cost of service, or quality of service delivered. The #1 criteria for working with a client—whether it be an individual, 401k plan, 501(c)3, or church—is whether or not we would be willing to have that client to our home for dinner. We are relationship focused—we want to have lasting and meaningful relationships with our clients, and enjoying being with the people we work with is of utmost importance. We believe that this type of relationship also raises the level of candor for both parties, which ultimately helps us do our job better and our clients to have more positive outcomes. But their support for our relationship goes well beyond its function as trade executor. Our affiliation means that we am not held to a sales quota or tied to selling only proprietary products. 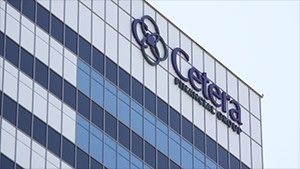 We have the independence and freedom to recommend the financial solutions that best suit your needs, ensuring your objectives are what drive all decisions, while Cetera Advisors’ network of people and resources help us pursue your unique goals and vision for the future.